The past 18 months have been a whirlwind ride for cryptocurrency investing, and with technology gearing up to provide even more market precision in the not-too-distant future, it looks like nobody’s ready to get off just yet. 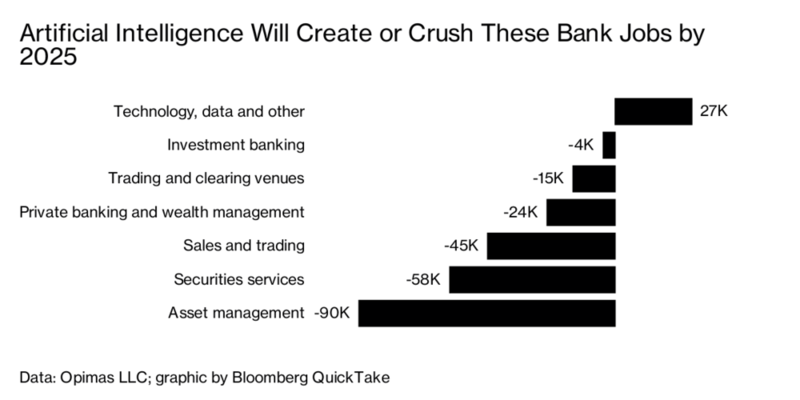 When Bitcoin surged to a value of almost $20,000 in December 2017, the level of insights and security available to those trading in the digital currency were still in the relative dark ages. While the stock exchanges of New York, London and Tokyo are filled with automated insights and machine learning processes that can anticipate market fluctuations algorithmically, there has been a scant trace of such intuitive tools as the world of crypto became a household discussion point globally. But we live in a time of rapid adaptability, and as soon as Bitcoin started making unignorable waves in the financial markets, so too were organisations looking to utilise technology to bring precision to cryptocurrency exchanges. Enter AI, and machine learning. 2018 has already seen widespread advancements in the crypto industry thanks to the implementation of intelligent technology, and the future looks set to bring even more control for users. Here, we take a look at how the future of cryptocurrency trading will herald a new era of unprecedented control over investors’ assets. Decision making has never been a human strong point. The problem is that plenty of the choices we make are unwittingly pre-determined by emotion and bias. Our fluctuating moods could lead us into taking more risks at one moment in time before exercising excessive caution the next. Machines never have to deal with such fallacies, and AI-based trading has already been fully functioning for over a decade. What’s more is that according to Bitcoin.com, Renaissance Technologies’ Medallion Fund is reliant on AI for trading decisions. During the infamous financial crisis of the late 2000s, the Medallion Fund managed to provide returns of over 85% annually. These results have given AI-based trading a platform that has seen a natural progression into cryptocurrencies occur over recent months. The ability for AI technologies to be pre-programmed with specific entry and exit conditions is one key step in bringing logical trading to the crypto market and with a marketplace as volatile as the one that the heart of digital currencies, a solid automated program could be seen as essential in bringing precision to investments. Some companies call these automated programs “Robot – Counselor”. Our digital universe doubles in size every two years. Hackernoon put this into perspective when they suggested that we imagine that the digital universe was represented by the memory in a stack of tablets. 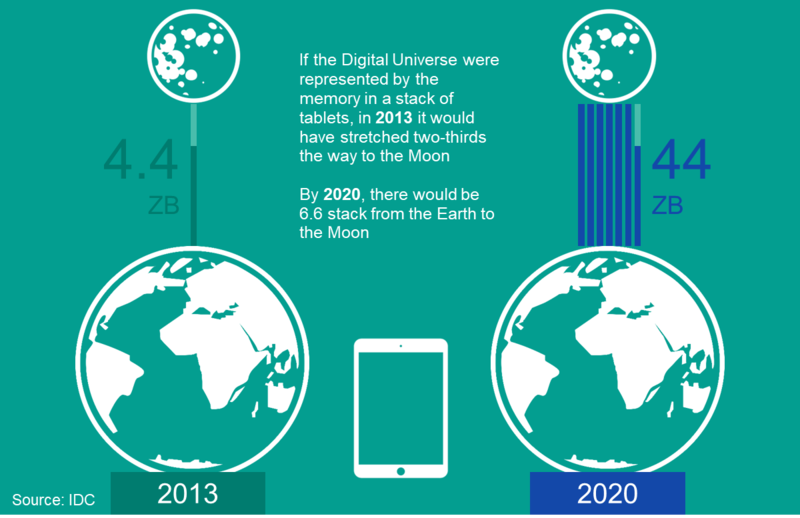 In 2013 the stack of tablets would have reached two-thirds of the way to the moon (4.4 zettabytes). By 2020 this stack would be able to reach the moon nearly seven times over (44 zettabytes). This unfathomable wealth of information available to us is fully incomprehensible to the human mind. But machines have the power to interpret data at a much faster rate and interpret it instantaneously. This creates a pathway for the establishment of intuitive prediction markets, where machine learning can interpret big data in a way that enables it to draw predictions on the short-term future of a particular cryptocurrency. In the case of the Signals crypto marketplace, AI can also be utilised as a tool for collecting crowd-sourced insights into the financial climate and corroborating them between each other. AI also has the useful habit of being extremely observant to irregularities in trends. This particular trait became very useful in July of 2018, when cryptocurrency trading tool, RoninAi, spotted a sudden shift in the price of Bitcoin among other currencies. As the tool continued to monitor the situation with heavily detailed data feedback to its users, it became clear that over the space of two hours on the 27th July there was a very clear attempt to manipulate the price of Bitcoin by manufacturing a spike in ‘social sentiment’. The social sentiment is a way in which traders can monitor the building speculation about certain facets of the crypto market. The fraudsters on the night of the 27th clearly tried to set up a false sentiment in a bid to affect the price of Bitcoin. Once the social sentiment irregularity was spotted, the tool alerted its users and mapped out the causes of the unexpected ripple in Bitcoin’s value. The case of RoninAi is just an example of how essential AI will need to be to the cryptocurrency market in order to gain full control of a highly lucrative trading environment. Too many trading irregularities will not only cause investors to lose control of their futures through no fault of their own, but it’ll also lead them into losing confidence in the cryptocurrency markets as a whole.